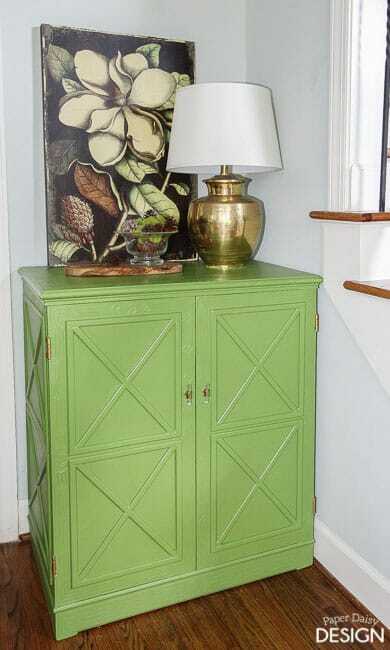 Today I’m sharing another entry into The Fab Furniture Flippin’ Contest. Did I mention that I won Second Place last month? I was pretty excited, especially given the other fantastic projects entered. You can see my winning entry here. 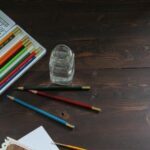 This month the theme was Geometric Design and the sponsor was General Finishes, maker of fine water-based topcoats, stains, glazes and oil based finishes. You can see all the entries linked here at On Fern Avenue. As soon as I saw the theme, I knew exactly what I was going to do and what color I wanted it to be. You see, I’ve had this project in my mind for quite a while and finally my projects and opportunities aligned. Don’t you love when fate hands you moments like these? 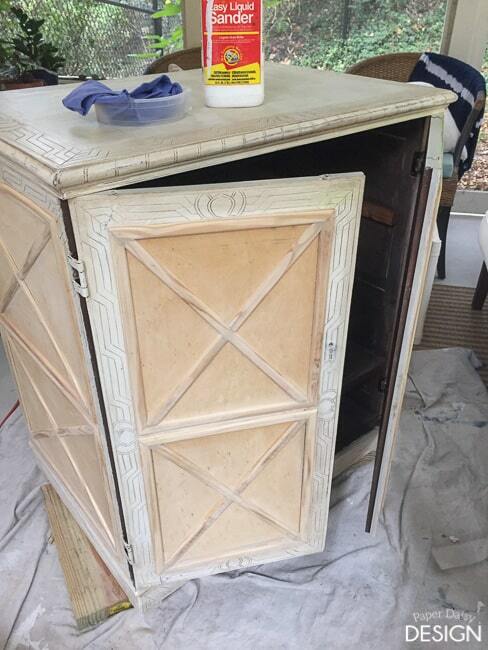 Here’s another look at the re-finished cabinet. And I do mean re-finished. This piece of furniture has already had several reincarnations in it’s lifetime. Initially it had legs and was used as a media cabinet. Then we moved and what we really needed was a bedside table. So, the legs were chopped off and it was painted and waxed. Then it got replaced with my last contest entry. Sorry this before photo is really of our modern barn doors, but you can see the ornate details of the original look of the cabinet on the right. Now, what I really needed from this cabinet was more storage in my dinning room. 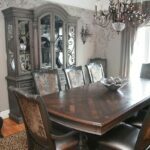 BUT, the other furniture already in the space already has ornate finishes. I wanted to simplify the cabinet and give it a fresh, new, more clean-lined look. So, I covered the ornate panels with thin sheets of luan and trimmed out each rectangle with screen molding in a geometric design. I used wood glue on the flat sheets first and then used a nailer to apply the screen molding, along with more wood glue. 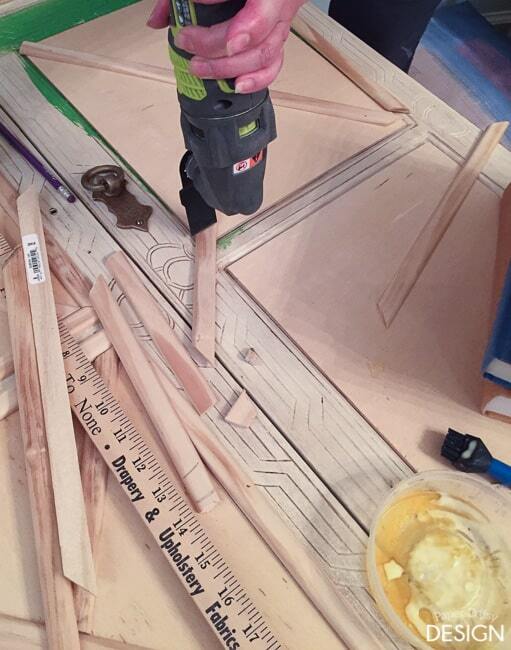 This helped prevent the nails from going through the sides of the cabinet. 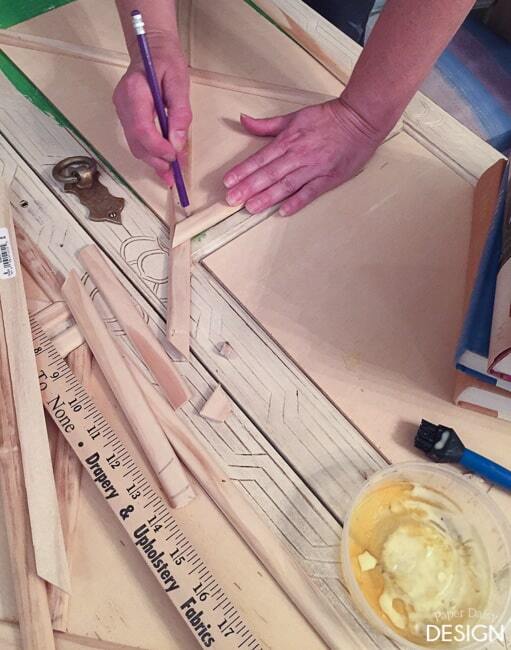 I used my miter saw to cut the corners of the trim. It’s important to use a blade with smaller teeth on wood this small and thin. Always use safety goggles as small pieces do tend to get slightly propelled by the blade. The odd angles and very small cuts needed where the “x” pieces met the outside rectangular trim, were easily cut on the spot with a smaller handheld cutting tool. 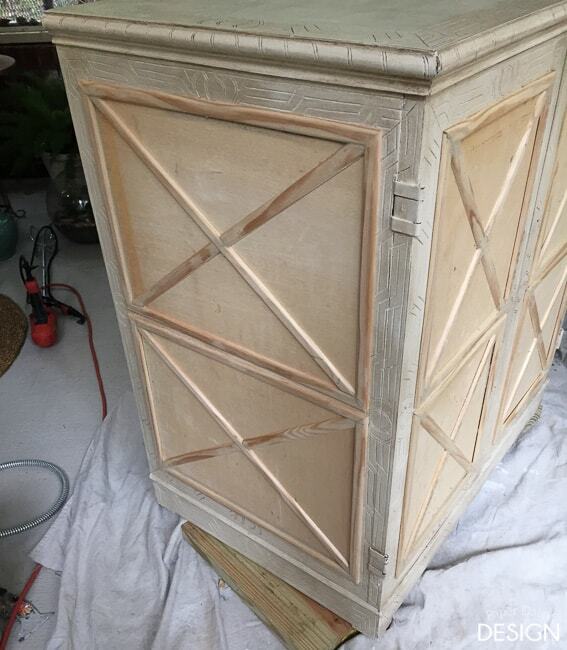 Once it was all trimmed out in the new geometric pattern, it was time to prep the piece for paint. 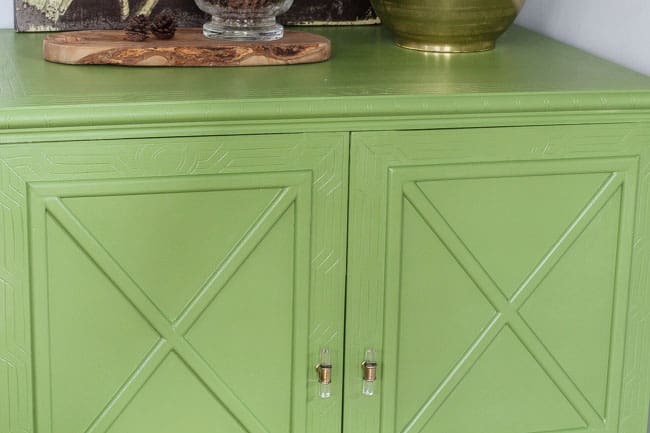 Because this cabinet had been previously painted and waxed, I sanded it thoroughly and wiped it down with mineral spirits. After a little more sanding, I wiped it down again with liquid sandpaper. 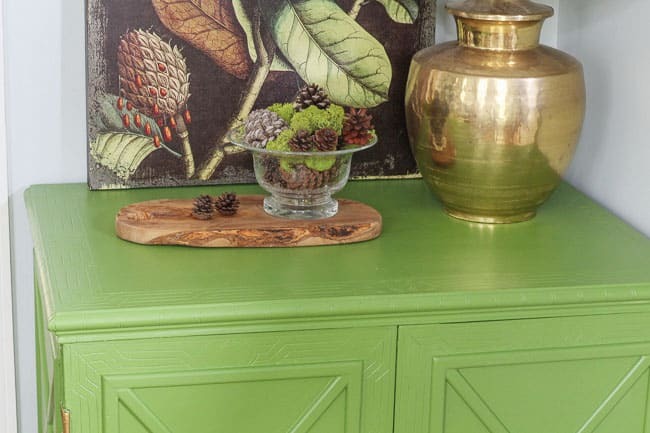 I was happy to give the General Finishes Milk paint a try. 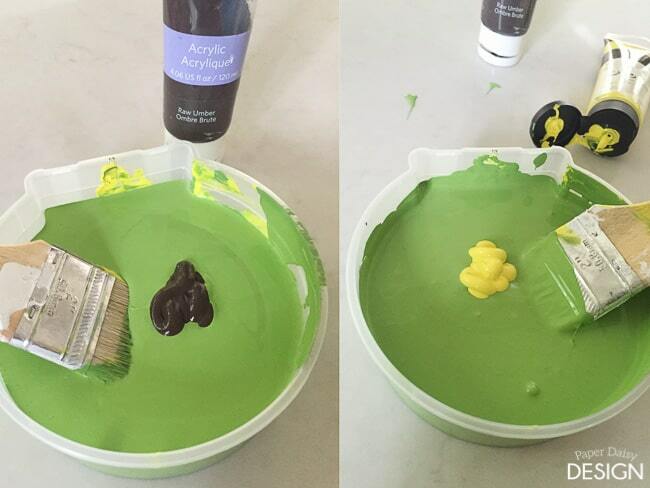 While I really liked the Lime Green color I ordered, it turned out to not be quite right for my space. 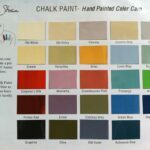 Because their paint is acrylic based, I was able to tint the paint with good quality acrylic artist paint. 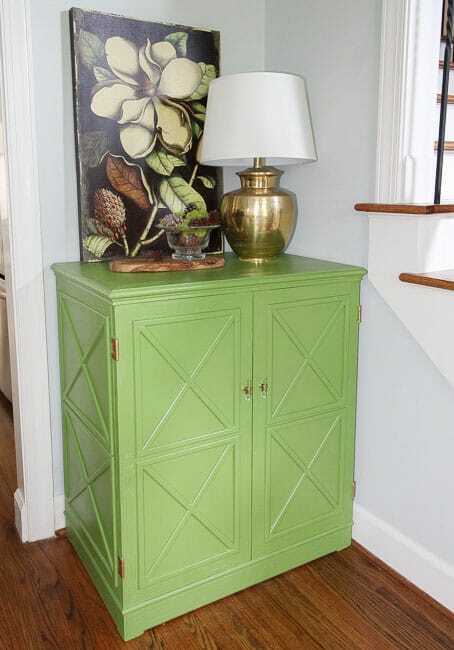 A little burnt umber and lemon yellow were perfect additions. After it was painted with a couple coats, I noticed how well the paint leveled out. Brush marks were nearly undetectable. Very nice attribute. Then, I finished it with General Finishes High Performance top coat in Flat. Their flat has a nice luster, but it is not too shiny. 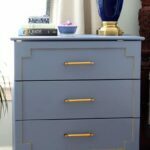 The simple gold and glass knobs were the perfect finishing touch to the more simplified piece now. 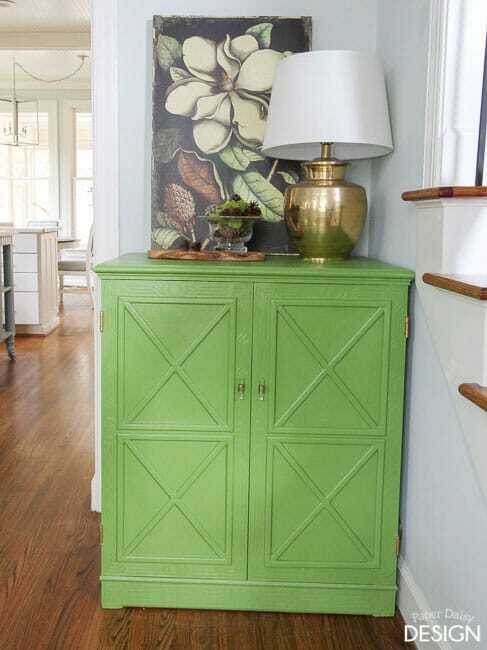 Do you see how perfectly it fits in this corner of the dinning room? 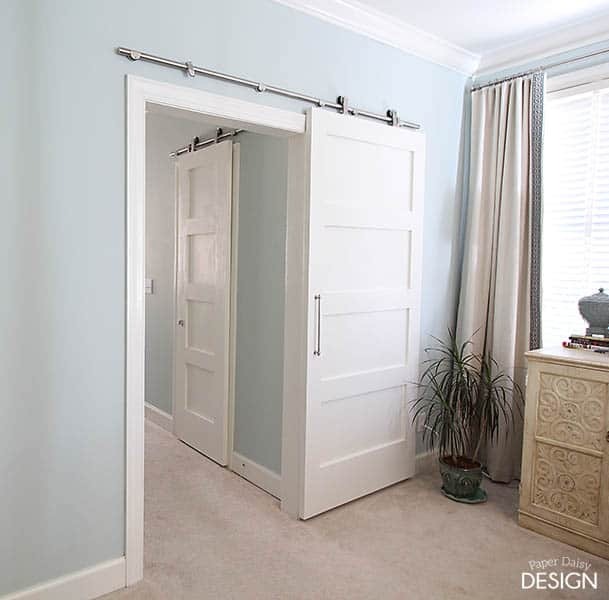 The scale and design of the piece are a perfect compliment to the rest of the space as well. I’ve already loaded it up with my platters and larger pieces of glassware. Do you have a piece you could transform with this simple geometric transformation and design? Would you like to participate in future contests? 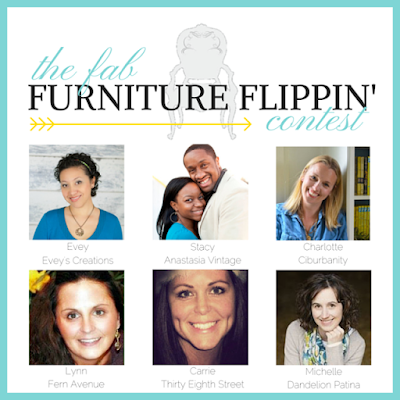 If so, please contact info@fabfurnitureflippincontest.com for more details. Don’t forget to see the other Geometric Design entries to The Fab Furniture Flippin’ Contest at the link party also featured at ThirtyEightStreet. 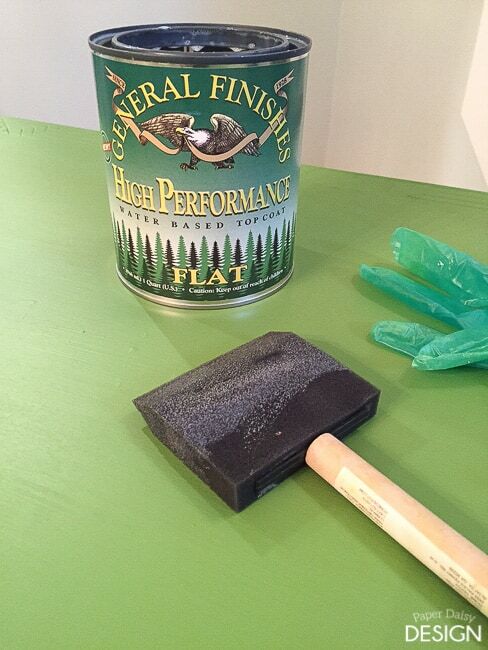 As a participant in The Fab Furniture Flipping Contest, I was given my choice of quart sized product from General Finishes. All comments, design and work is my own. The color you created is perfect! I love that print you have above it. Nice job. Wow great transformation! what a difference. 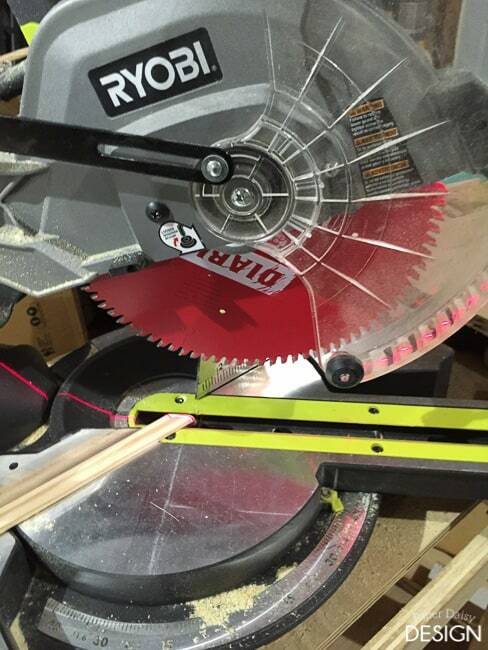 All you mad skilled woodworking divas with those awesome Ryobi tools have me drooling, I know whats on my Christmas list this year LOL! You have a lot of patience to cut out all those pieces, I would have just painted to make it look 3D. That being said, it looks amazing! 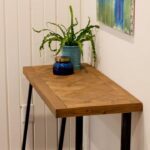 Would love it if you would share it on Friday’s Furniture Fix . Our furniture only party is open until Monday night. Thanks Lucy! I did just tonight! Oh My Goodness! This really was a transformation! WOW! Well done! I love it both ways but this is really striking now! Hope you are having a great week!